Our one-and-a-half hour guided walking tours assemble promptly at 10 a.m. in Grace Auditorium lobby (the first building to your left as you enter the campus). 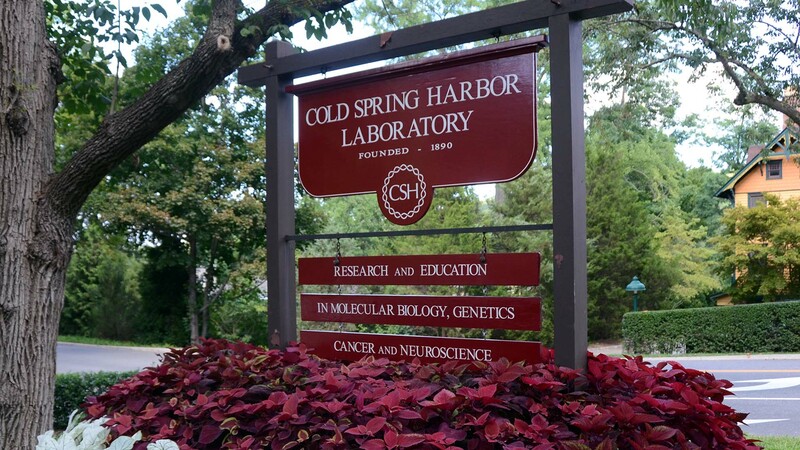 The main campus of Cold Spring Harbor Laboratory is situated at One Bungtown Road (off Route 25A) in Cold Spring Harbor, New York, 11724. The tour fee is $5 per person, payable in cash or check (made out to CSHL) to your tour guide. Call (516) 367-8455 or email publicaffairs@cshl.edu for more information. ADVISORY: The tour route is primarily outdoors and takes place rain or shine. The tour includes areas of stairs and steep hills. It is not recommended for people who have difficulty walking.